Ten days of pristine silence, nestled in a wild canyon, free from your daily roles and responsibilities, with only one simple task: to enjoy your practice. Held in the stunning Dragoon Mountains of Southeast Arizona, this 10-day silent meditation retreat provides practitioners of any background and skill level with the invaluable opportunity to deepen concentration and insight. Space is limited to 18 retreatants per session. Retreat is all about creating the most conducive environment for deepening your practice. Our aim is to use every moment as an opportunity to practice mindfulness — whether you’re washing dishes, hiking in the mountains, or sitting in formal practice. Toward that end, all retreatants observe noble silence. Beyond simply not speaking, this practice encourages inner solitude and frees us from the mental agitation of communicating through eye contact, body language, and notes. You are also asked to honor intentional living practices during your stay. Please review these guidelines and confirm that you’re able to follow them before applying. Meditators enjoy the support of a daily practice schedule and dharma talk. You will receive one-on-one support from primary teachers, Eve Smith and Jeremy Graves, through individual meditation interviews. In addition, Culadasa will lead several group interviews and the final dharma talk. Eve will offer daily yoga classes, designed especially for minds and bodies in retreat. Hikers and nature lovers also have numerous trails to explore that snake throughout the mountains. Everyone participates in daily service work, which helps us blend formal practice and mindful living. Three truly lovely vegetarian meals are provided daily. A range of lodging (and pricing) options are offered, including a private stay in a modern cottage, individual rooms, semi-private space in our “Dharmatory” Yurt, as well as private trailer and tent camping under the desert sky. Dharma Treasure Retreat Center is located on five secluded acres, high in the historic Cochise Stronghold Canyon of southeastern Arizona’s Dragoon Mountains and bordered by Coronado National Forest. It’s a truly stunning place to go on retreat. The canyon is located within one of North America’s few dozen “sky islands.” These spots of high elevation dot the southwest United States and northwest Mexico, and together form the largest remaining oak forest in the world. Straddling the gap between temperate and tropical climate zones, they are host to an enormous diversity of wild life. Dharma Treasure Retreat Center has been designed with, not against, nature. The center features water harvesting systems, solar panels providing nearly all of our power, the strategic location of buildings designed to maximize the benefit of solar passive heating; compost toilets; grey water systems; natural building materials (including straw bale); ponds, swales, and berms to direct our rainwater; and the management of native shrubs and grasses. Retreat fees cover accommodation for 9-days/10-nights and three vegetarian meals per day. We go to lengths to keep retreat accessible for all, and sustainable for the center. Teachers rely on donations, or dana. Following tradition, teachers offer guidance freely and rely entirely on student’s generosity, or dana in the Pali language, for support. We bring this 2600-year-old practice of dana to our Dharma Treasure retreats because we believe the dharma is truly an invaluable gift, beyond price. Giving to the teachers from your heart is an important part of dharma practice. It involves the wise reflection on your own financial means, as well as an examination of your impulse to give. We might consider: how much can I offer generously while still being financially responsible to myself? If I don’t feel inclined to give, might I stretch myself and give generously within my means? You can also offer dana to the retreat center or its staff to allow the center to keep thriving and offering retreats in the future. EVE SMITH believes that understanding the mind is the key to empathy and skillful practice. A mediator and yogi for over 15 years, she has logged a total of seven months in retreat. In 2018, she completed Culadasa’s four-year teacher training program, co-developed the Dedicated Practitioner’s Course with Jeremy Graves and Blake Barton, and joined the board of Culadasa’s nonprofit, Dharma Treasure. Over the past ten years, she has worked with hundreds of students, integrating meditative and yogic practices to support people on their path. She has taught meditation at the New York Insight Meditation Center, the Three Jewels, and various corporate wellness programs. Having studied both Iyengar and Ashtanga, her yoga classes combine breath and structured movement for a rich, slow flow. Along the way, Eve has worked as a strategy director at a creative agency in New York, started her own consulting practice, and taught branding and communications at Parsons. She has a big, wild family, speaks fluent Spanish, volunteers with immigration organizations, and has dreams of goats and horses. She is constantly looking to align practice and life, and blur the lines between the two. JEREMY GRAVES, along with Culadasa (John Yates, Ph.D.) and Matthew Immergut, Ph.D., is an author of the bestselling meditation manual The Mind Illuminated. He has studied Buddhist meditation for over a decade in both the Theravada and Mahayana traditions, and has accumulated more than two years of combined retreat experience. 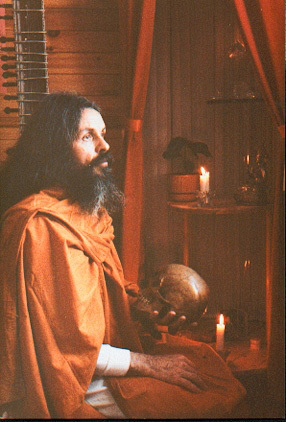 He was certified to teach by Culadasa after completing the four-year Dharma Treasure Teacher Training Program. Jeremy has also practiced extensively in the Mahasi tradition of dry vipassana, and in the Goenka/U Ba Khin style of practice. In addition, he has pursued Western depth psychology and psychoanalytic forms of healing and integration. As a writer, poet, and community volunteer, he is interested in the intersection of dharma practice with culture, and in how the Buddha’s teachings can help heal social ills. Jeremy has taught meditation and mindfulness at such venues as Amazon, Tucson Community Meditation Center, Shambhala Mountain Center, Inner Way LA, and at Consciousness Hacking seminars in Los Angeles and Santa Barbara. Currently, he is an instructor, along with Eve Smith and Blake Barton, of the Dharma Treasure Dedicated Practitioners Course, an eight-month-long online course covering dharma teachings and the meditative training outlined in The Mind Illuminated. 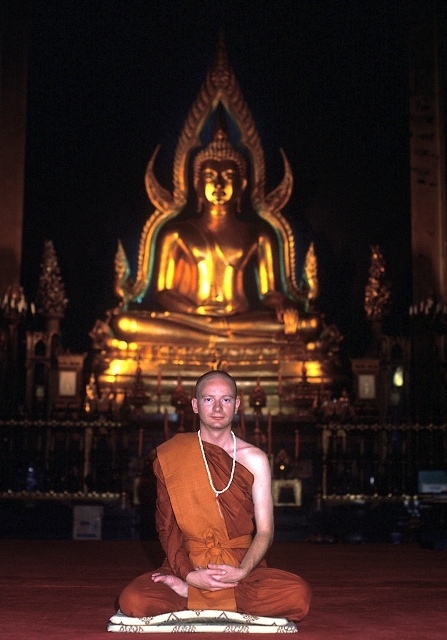 CULADASA has practiced Buddhist meditation for over four decades and is the director of Dharma Treasure Buddhist Sangha in Tucson, Arizona. He has deeply studied both the Theravadin and Tibetan traditions. This unique lineage allows him to provide a broad and in-depth perspective on the Buddha Dharma. He has combined the original teachings of the Buddha with an emerging, scientific understanding of the mind to give students a rich and rare opportunity for rapid progress and profound insight. His principle teachers were Upasaka Kema Ananda and the Venerable Jotidhamma Bhikkhu, both of whom were trained in the Theravadin and Tibetan Karma Kagyu traditions by the Venerable Ananda Bodhi (Namgyal Rinpoche). 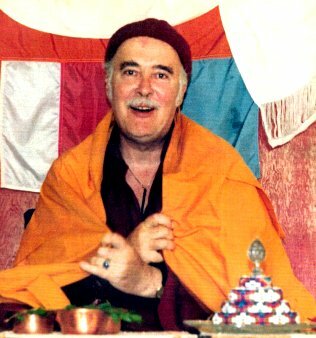 Ananda Bodhi was originally a Theravadin teacher, but was later recognized by the 16th Gyalwa Karmapa as the tulku Namgyal Rinpoche. Culadasa taught neuroscience for many years as a college professor, and in the 70’s worked at the forefront of the new fields of complementary healthcare education, physical medicine, and therapeutic massage. He retired in 1996 to live a contemplative life in the wilderness of an old Apache stronghold in southeastern Arizona.